MSE Audio has announced a new system from dARTS, which is set to make its official debut at ISA 2019 in Amsterdam in early February. The new system, dubbed Flyte, is engineered as a complete, though of course upgradable, 5.1 system, including five in-wall or on-wall speakers, one twelve-inch subwoofer, and a DP4000-IA Amplifier, which provides up to sixteen channels of digital signal processing and amplification. 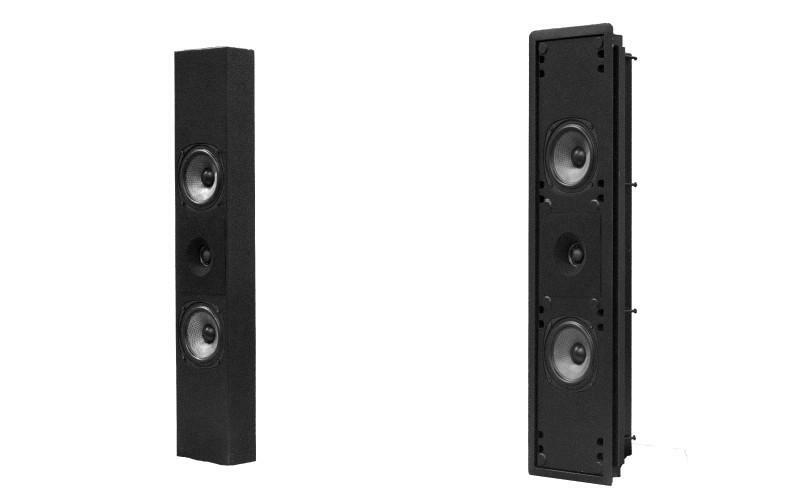 dARTS Theater (Digital Audio Reference Theater System), a sub-brand of MSE Audio, recognized for its all-digital home cinema system, announces the Flyte System, a complete 5.1 package, designed to bring a world-class theater experience to any room. The dARTS mission is to create a flexible home theater solution, removing the need for a dedicated home theater room with extensive acoustical treatment. The dARTS Flyte System combines the high-quality and award-winning design that dARTS is recognized for, without compromising the aesthetics of any living space within the home. Every dARTS system sounds virtually the same after calibration by digitally minimizing the reflected energy in the room, and with minimal room reflections it is the most predictable, immersive system available. "With the new Flyte system, our goal was to create a system that was versatile and flexible, allowing end-users to turn any space into a home theater," said Jonathan Duran, Director of Marketing and Sales for dARTS Theater. "Through our proprietary speaker calibration process, we have eliminated the need for a dedicated home theater room with extensive acoustical treatment. All dARTS systems are digitally calibrated in an anechoic chamber where each system is tuned to within 0.5 dB of its reference response before they leave the factory. Once calibrated in the field, every dARTS system can be brought back to those reference levels in any room, making it the most immersive system available." The dARTS Flyte System, features one DP4000-IA Amplifier, five in-wall or on-wall Flyte Speakers, and one DCB 12" Subwoofer. The dARTS DP4000-IA Amplifier manages an entire dARTS system with up to 16 channels of digital signal processing and amplification. Each DP4000-IA channel delivers custom DSP to control crossovers, phase correction, time alignment and EQ, in addition to providing up to 250 watts of amplification for each individual driver in every speaker. In addition, Jonathan Duran, Director of Residential Sales and Marketing for MSE Audio, including Phase Technology, Induction Dynamics, SoundTube Entertainment, SolidDrive, Rockustics and Soundsphere, has been named the Director of North American Sales and Marketing for dARTS. Duran's additional role as Director or North American Sales and Marketing comes after 10 years of service to the leading audio brand, MSE Audio. To learn more about dARTS, please visit www.dartsdigitaltheater.com. For more details on MSE Audio, parent company of dARTS, please visit mseaudio.com. • Phase Technology Announces New Version of dARTS Speaker Systems at HomeTheaterReview.com. • New In-wall Subwoofer From Phase Technology at HomeTheaterReview.com.